"Isabelle Thornton" Le Chateau des Fleurs: Bunny party ! 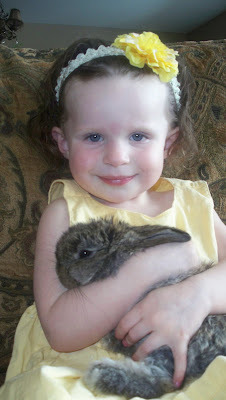 My little Fairy has her Birthday around Easter....When all the stores have baby bunnies. 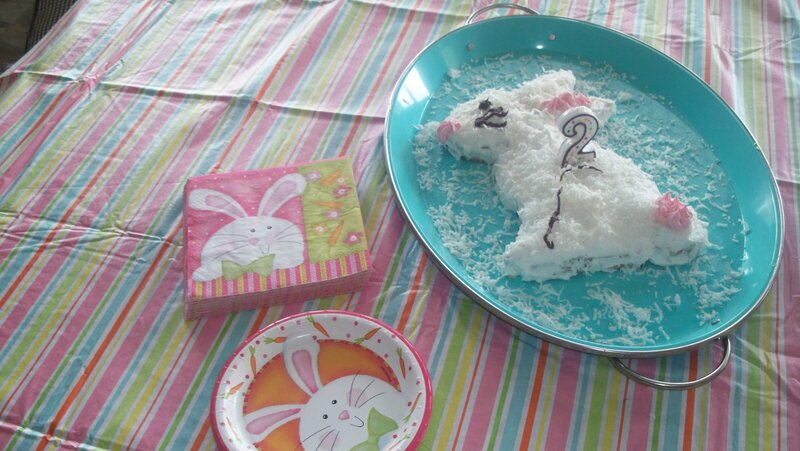 Last year, i decided it would be fun to have a Bunny Birthday Theme. 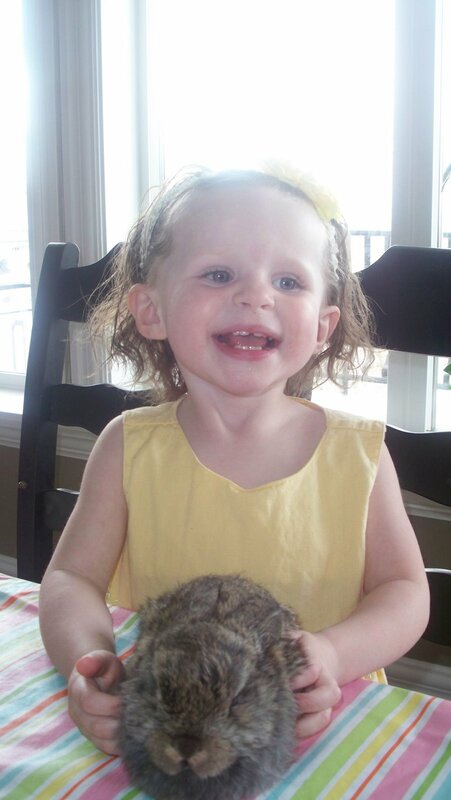 I got the bunny from the farm store and tried to hide it in the basement, but my Fairy sneaked and find him... This was the pictures when she found him and first met him....SO happy! He is a Holland Lop Bunny. He looks like a squirrel. The ears grow and drop when they grow up. Bunny instructions from my experience. If the bunny bites, turn it on it's back say no firmly and put it back on the couch, not in the cage. Give it treats often when you hold them so they will like you. A Holland Lop is a little too big at adult size for a 2 to carry it. A Dwarf one is perfect. Some bunnies have the tendency to dig, making a mess in a cage and on your walls. I have them in a hutch outside. With a heating lamp in winter. Can you tell how much she changed already! OHHH They grow up too fast!! So i made this bunny cake. One layer of cake, freeze it and carve it. Make a template on paper first. 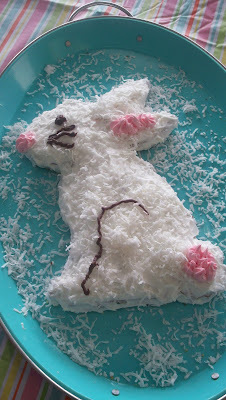 Coconut on top of white icing to make the fur and icing for details. Pink and brown in piping tube. The Chateau des fleurs, breakfast nook makeover. How adorable is this?! Have a piece of cake for me. You are so inspirational on making everyday special. I agree with Vintage Frenchhen ... your children will remember all the wonderful memories you created for them. We have not yet been blessed with little ones, but have extended family members with little ones and everything is more special from the eyes of a child! Cute, cute, cute! Your adorable birthday girl, the cute as could be bunny and that gorgeous bunny cake. it must be a children's wonderland in your home with the fun decor and animals. Have a blessed and FUN Easter. When I was young my mother had a bunny. It lived in the house and used a cat box. Fun to remember. An adorable bunny for an adorable little girl!!! Love the cake too!!! Happy Birthday Wishes to your Darling little girl. you are a wonder-Mother!!!!! what fabulous memories you are providing for your children. 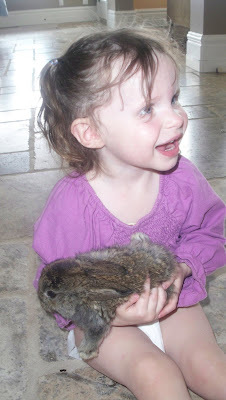 Your little girl is darling - and so are the bunnies! 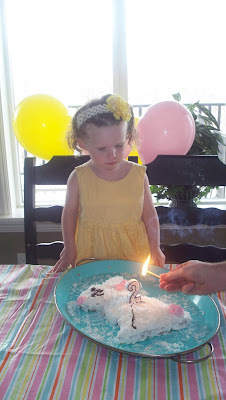 An adorable bunny birthday for an even more adorable birthday girl!! OH you are just so darling! Thanks for the compliments!!! A bunny box trained sound fun! Oh i am sure Angel and Zacky would like it! They think the bunnies are for playing...HEEK! Adorable! She loves her bunny! Very cute bunny cake! Love the tip about freezing it before you shape it. 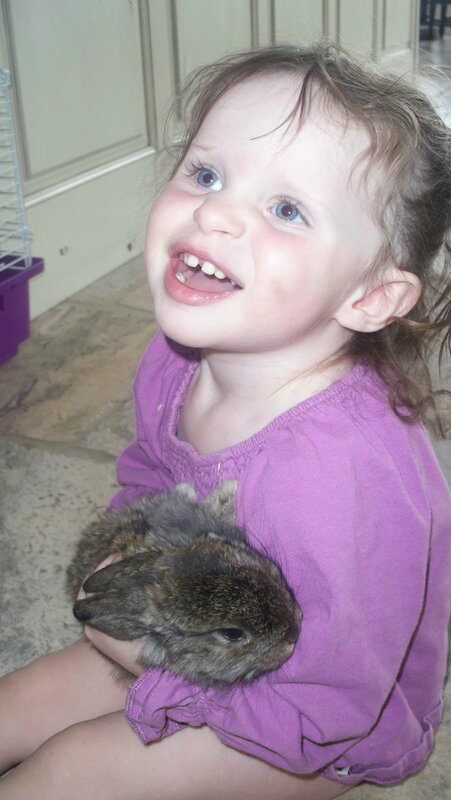 I miss our bunnies (all of whom thought they were dogs). Lots of personality in each and every one! oooh...you're daughter is so adorable frenchy! merci for leaving a comment on my last post. to answer your question...i am franco-americain by way of canada...so.."oui"..je parle francais "un peu." i am now following your blog as well! (my husband's nickname for me is "Frenchie." we have something in common..non?) Woud you like me to send you some of my sea pottery? i would be happy to share mon tresors! bonsoir! Oh my gosh, bunnies everywhere! Your daughter is way too cute!!! You seem like such an interesting person! Too bad we arent a bit closer - you could come to our big farm bash and we could meet! Hubby says "no way" to bunnies... to bad, the kids would love them... I am still trying to figure out how to sneak chickens into my backyard! You and your family look like so much fun! oops, I was playing around with something... didn't mean to do that. OH MON GOÛT! Comment mon chéri! Mon frère a un bunny .. même type pour son anniversaire, quand il était jeune. Was sooo cute! Autant je vous suis .. merci en retour! Je n'ai pas servi une mission en France, mais ils ont été là et qui grandissent J'ai fréquenté une école privée française ici localement. Je peux vous en parler si vous êtes intéressés pour vos enfants! J'écris mieux que de parler, je l'avoue. Je suis vraiment rouillé! Elle aide aussi quand j'ai mes haha dictionnaire! Hope I make sense. Si pas alors d'un rire de moi! 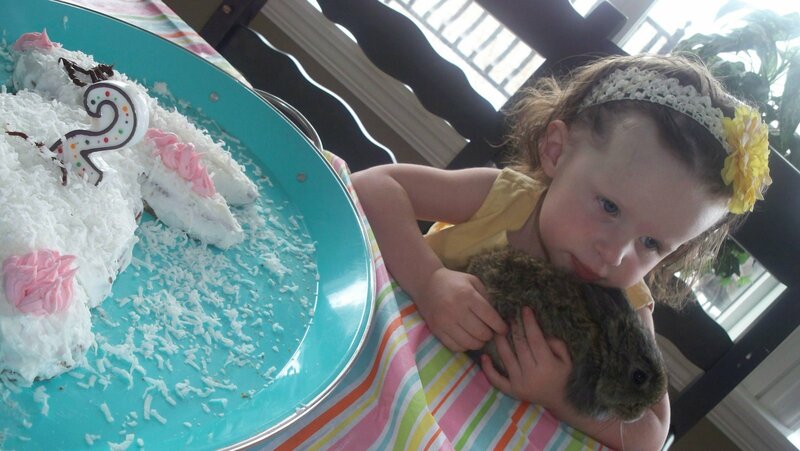 awww she's sucha doll...love her the bunny and the cake...this is the cutest post eva!! bonjour frenchy....i tried to link to the french party on your blog but nothing happened. let me know how i can link to it! SO CUTE! I want a bunny!! She is adorable Frenchy, a true princess! What a cute bunny. He almost doesn't look real in some of the photos, he is just so cute. Your cake is fabulous! Your little girl is so sweet. I hope you have a joyous Easter! He really liked to be held tummy up when he was a baby....Darling little thing. My kids are SO NOT ALLOWED to see your blog!!!! LOL! 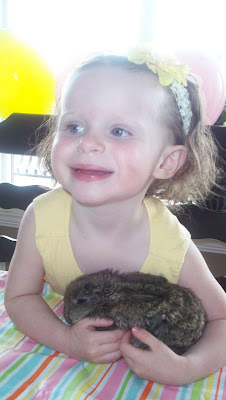 You are super mom - giving away bunnies like that - may daughters will want to be adopted!!! Love the bunny cake - super duper cute! Thanks for planting your creative seed at Plant a Punkin Seed Party. Don't forget to come bakc and see who was featured and see "hoo" won the little owl! Very cute cake! 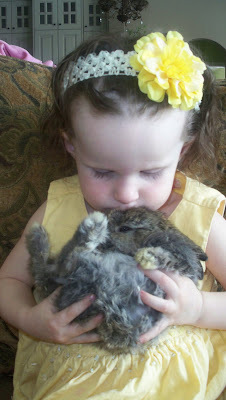 You are a great mom to buy your girl a bunny!! Thanks for linking up! 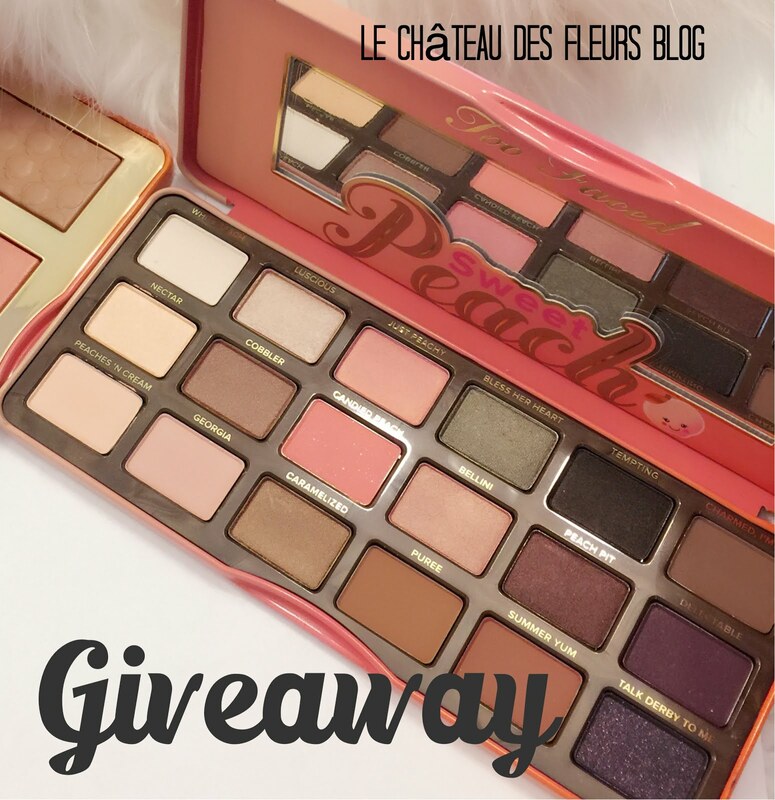 Be sure to come by and enter my giveaway! J'adore ce petit lapin avec la noix de coco pour un anniversaire d'enfant c'est tout simplement génial ! Big hit. The real bunny too. So much that i bought 2 more. See the next post. OHHHH Bunnies. Love them! What sweet bunnies!! I love that cake too. Turned out great! Thanks for sharing at Fun to Craft's Spring has Sprung Party. What a great cake for Easter too! You are so clever!